Sometimes recipes are inspired by complex ideas, and other times… you just have to use up what’s in your pantry. My parents brought us a generous supply of garden-fresh tomatoes when they came to visit a few weekends ago, and the last few needed to be used. 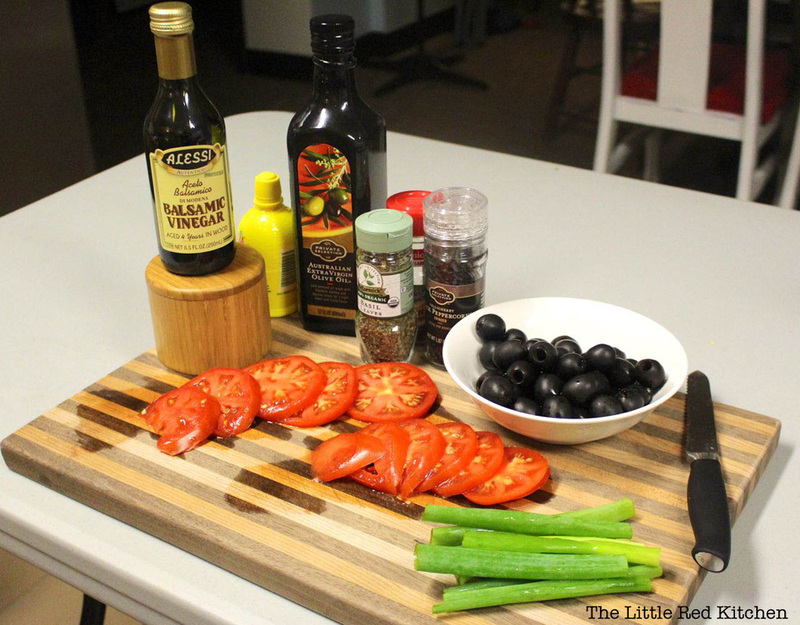 I’d also been in the mood for olives (I think at this point I’ve gone through three 16 oz cans in as many days? 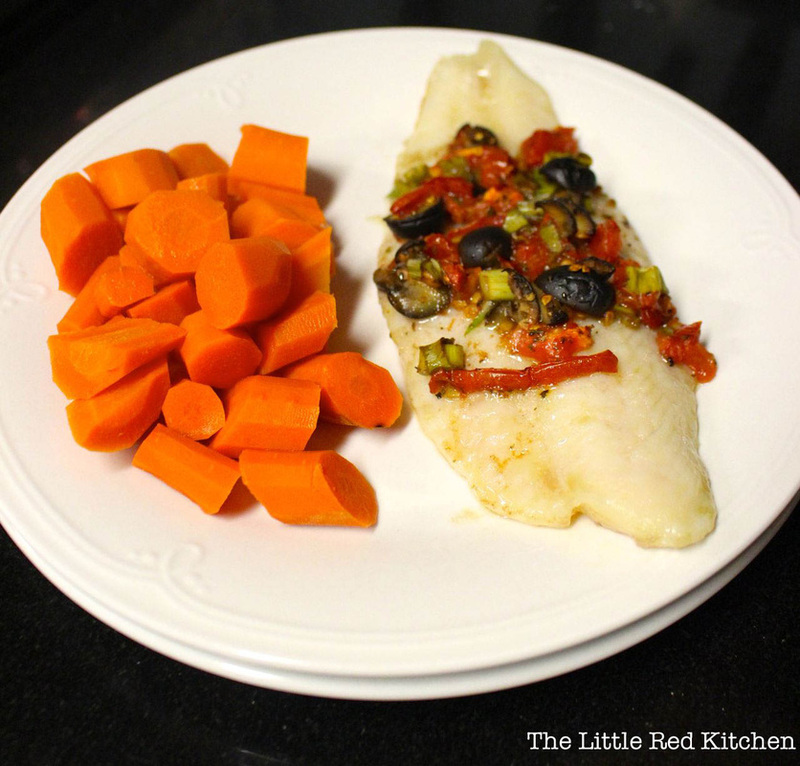 ), and thus, this mediterranean “salsa” idea was born.My husband, Jay, and I also stock up on frozen Swai… it’s a really under-appreciated white fish in my opinion! It’s fatty, buttery, and cheap. (You can get “river farmed” swai for $3-4 a pound.) I like to think of it as a fattier version of tilapia, but it’s apparently a catfish-like fish found in Southeast Asia. Anyway, yum.This recipe is super easy, but it looks impressive (and should only take you about 35 minutes). 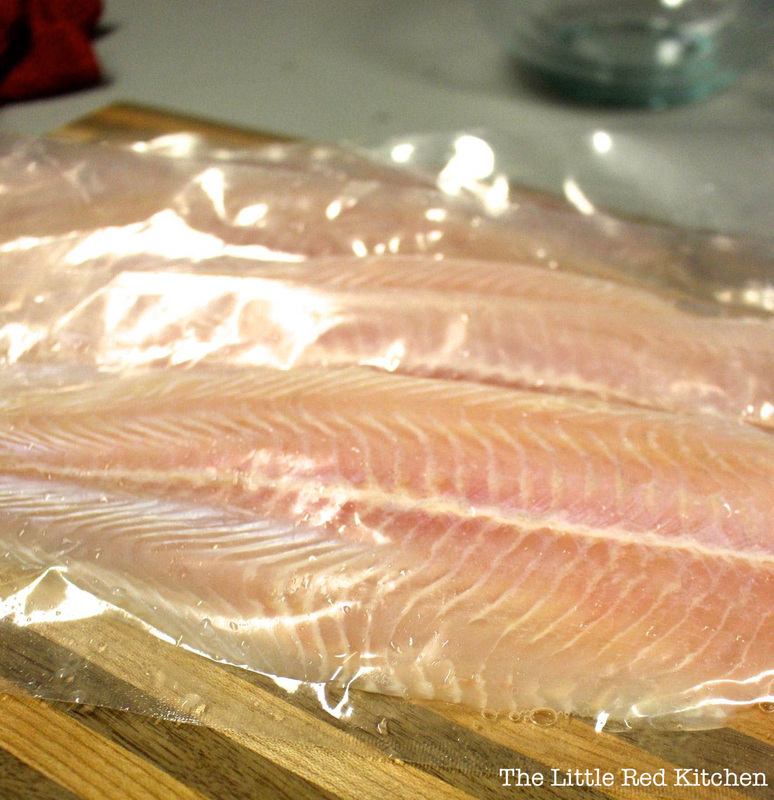 Step 1: Preheat your oven to 350F, remove swai fillets from packaging and pat dry. 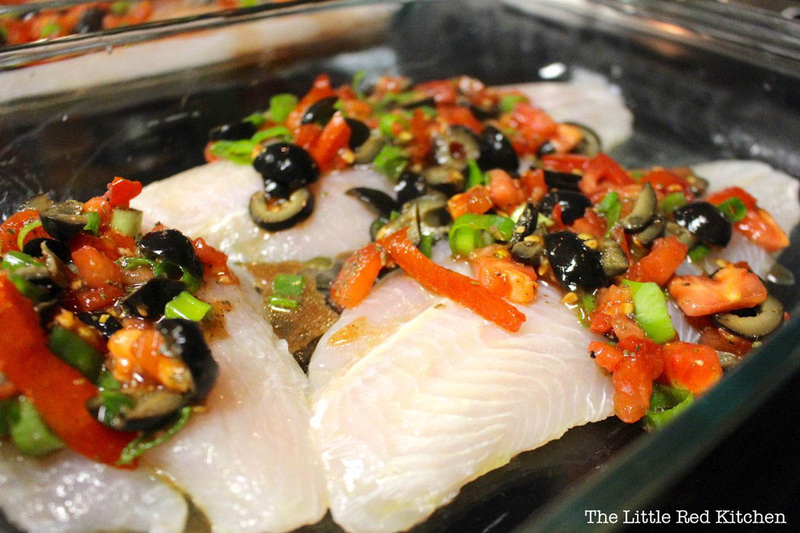 Step 2: Place the fish in a baking pan large enough that the fillets don’t overlap. 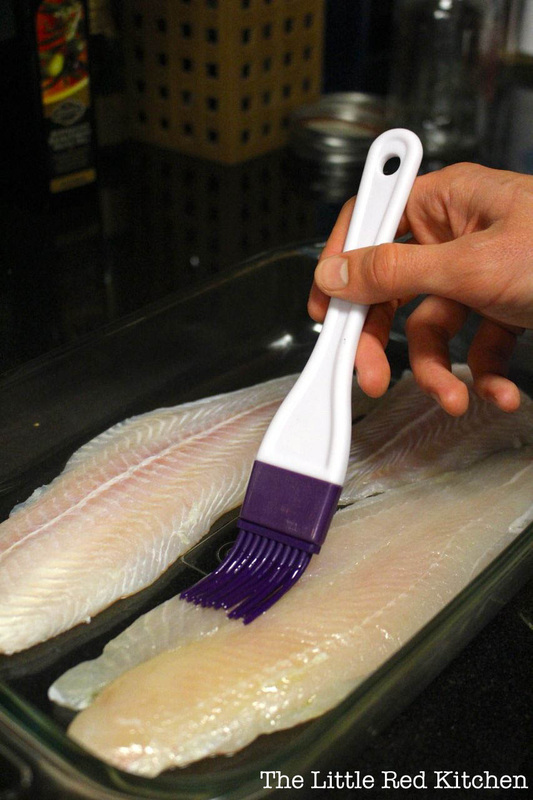 Brush both sides of the swai with enough olive oil to just coat them. 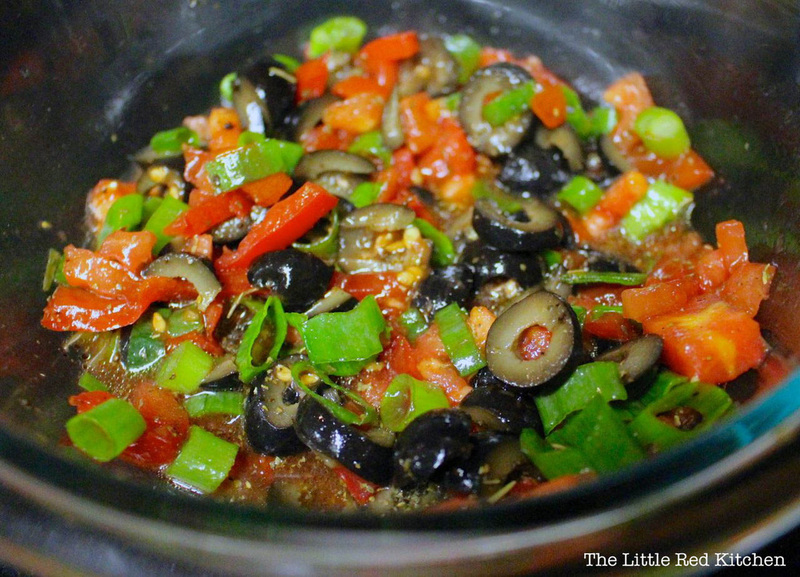 Step 3: Combine all salsa ingredients listed above, and stir to combine. Step 4: Throw that salsa on top of the fillets… really, however you’d like. 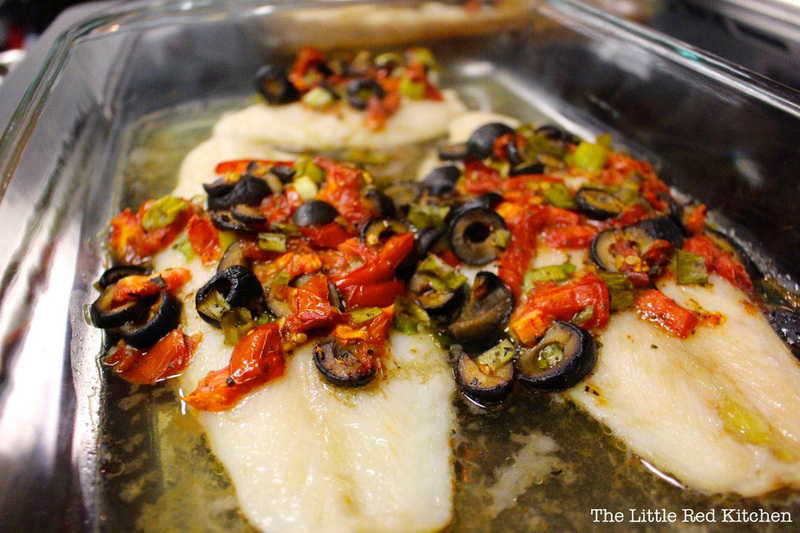 Bake the fish at 350F for about 30 minutes, or until the fillets are cooked through.